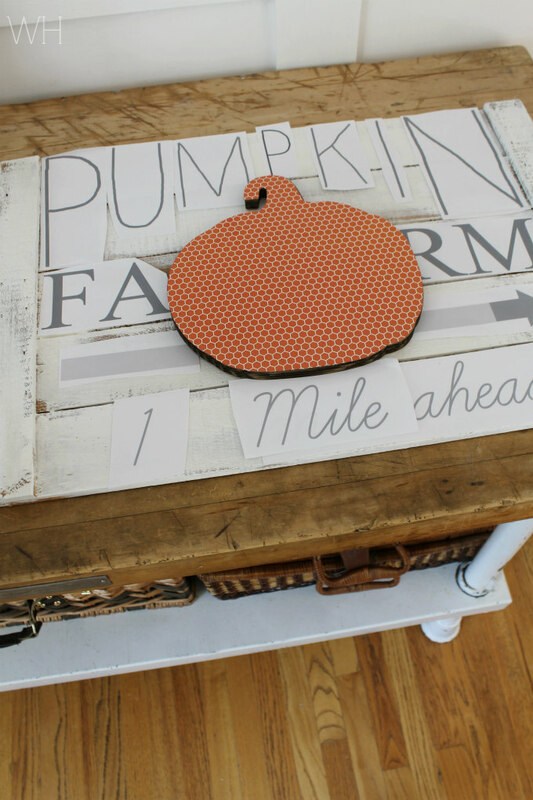 You may have already seen my DIY Pumpkin Farm sign since I shared it HERE over at Ella Claire a while back, but today I wanted to share it here on my own blog for any of you who may have missed it. 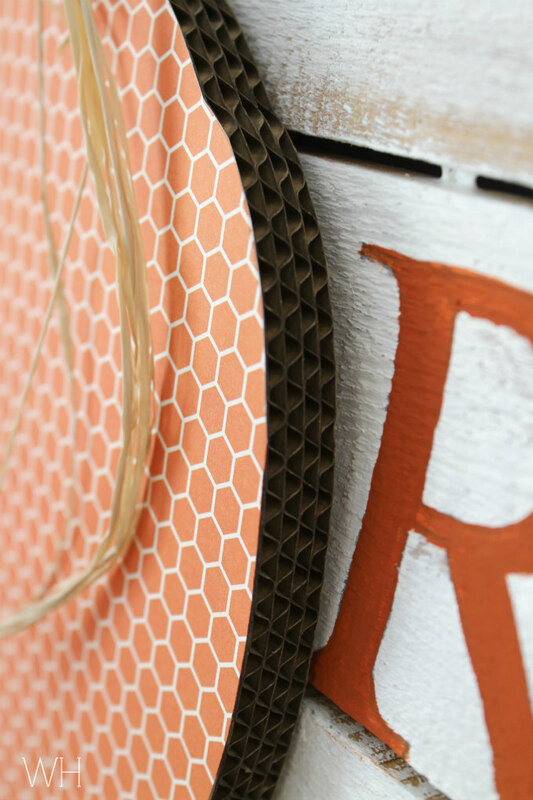 I'm also sharing how I made it so you can make one too. 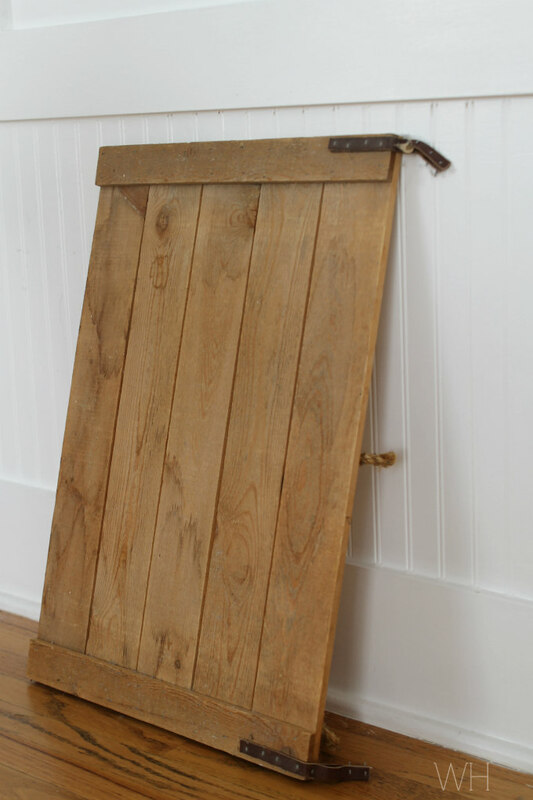 I started off with this crate lid I had laying around in our garage. I then painted mine white. 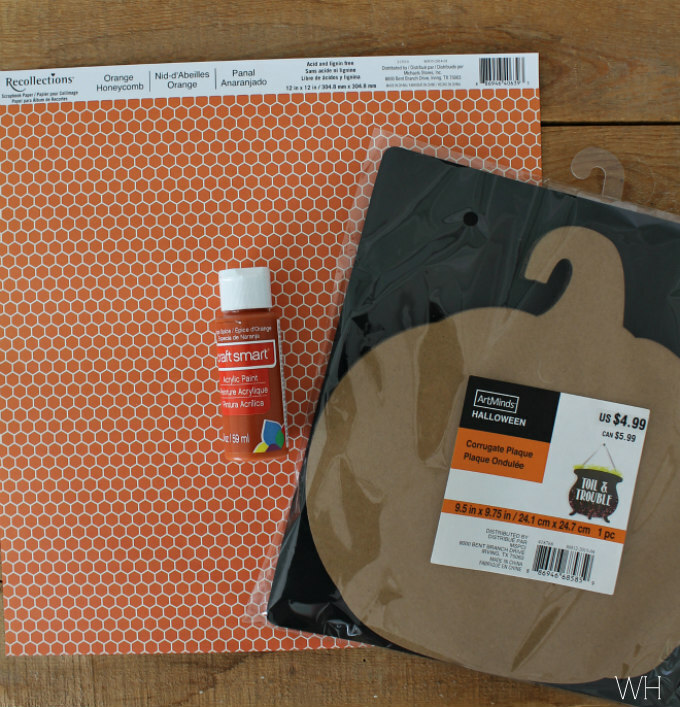 Next, I went to Micheals and picked up one piece of 'Orange Honeycomb' scrapbook paper, 'Orange Spice' acrylic paint, and one corrugate pumpkin plaque. 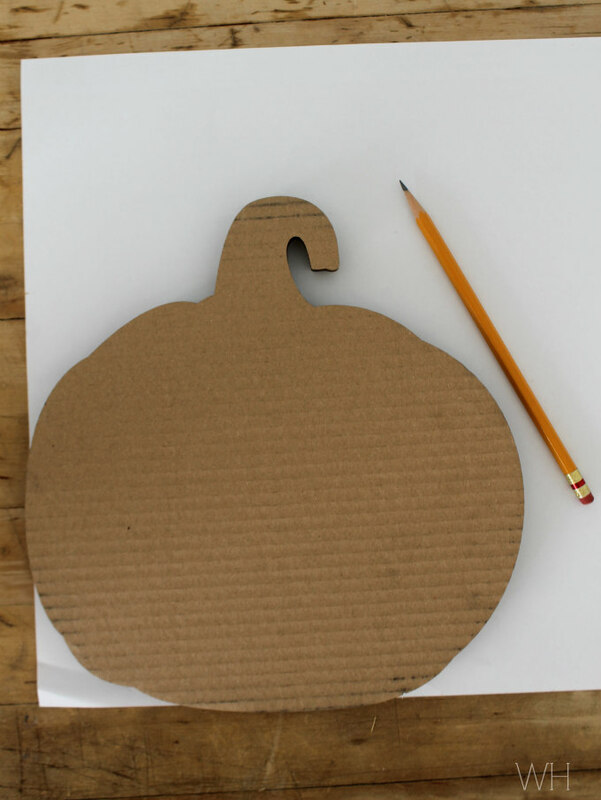 I traced the pumpkin plaque onto the back of the scrapbook paper, cut it out, and glued the cut out paper onto the plaque. Now for the lettering, I went to my computer and created the letters on Ribbit, a photo editing web-site. You could also create it on Pic Monkey. I played around with different fonts and sizes until I was happy with the look. I then printed them out, cut them down to size, and placed them on the sign. I traced out the letters with a sharp pencil and a piece of carbon paper underneath. If you do not have carbon paper you could also use this method of scribbling on the backside of the paper with a pencil. 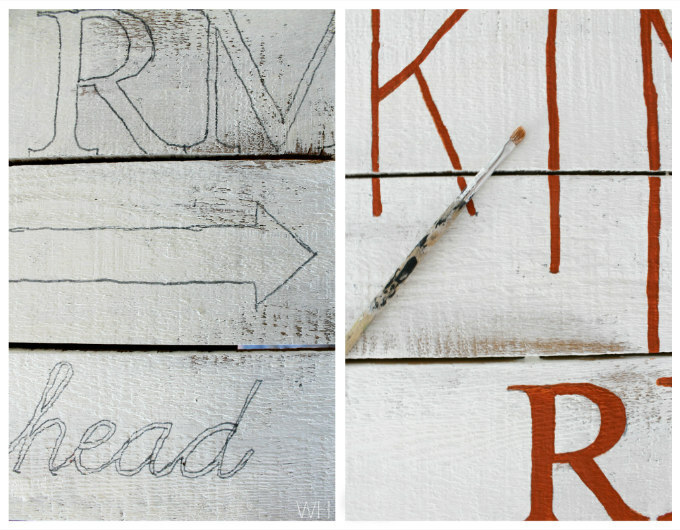 Once my letters were outlined onto the wood, I carefully filled them in with a paint brush and the craft paint. I used brown paint for the arrow. 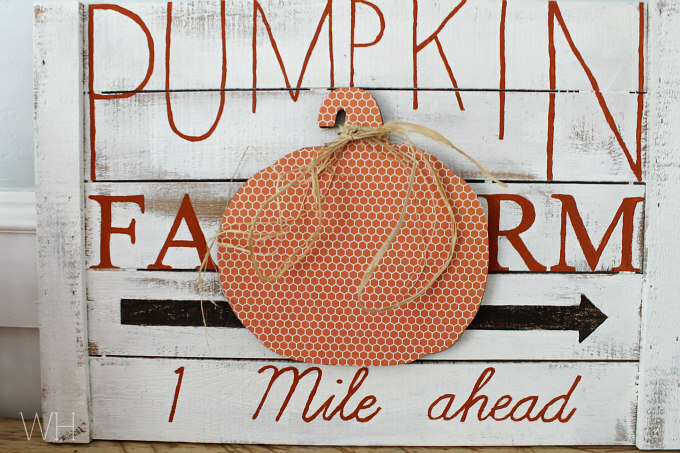 I tied a few pieces of raffia around the pumpkin stem and then hot glued the pumpkin onto the sign. 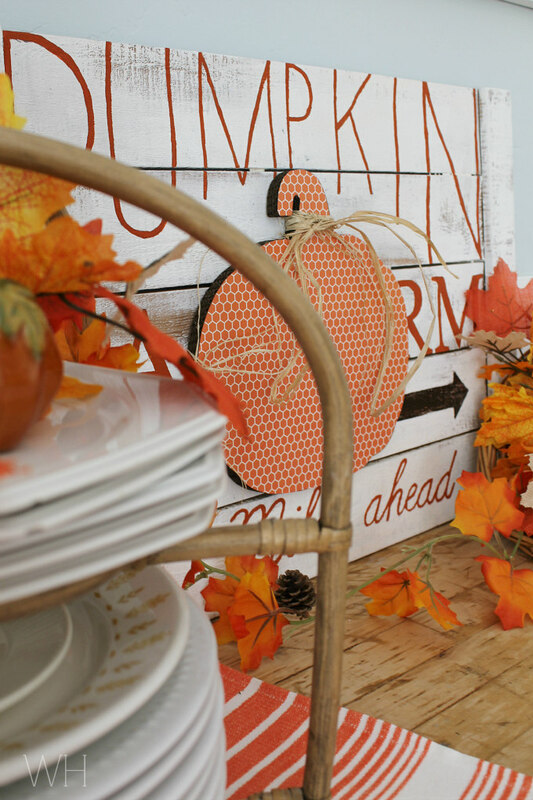 I brought in some other fall touches to add to my display. 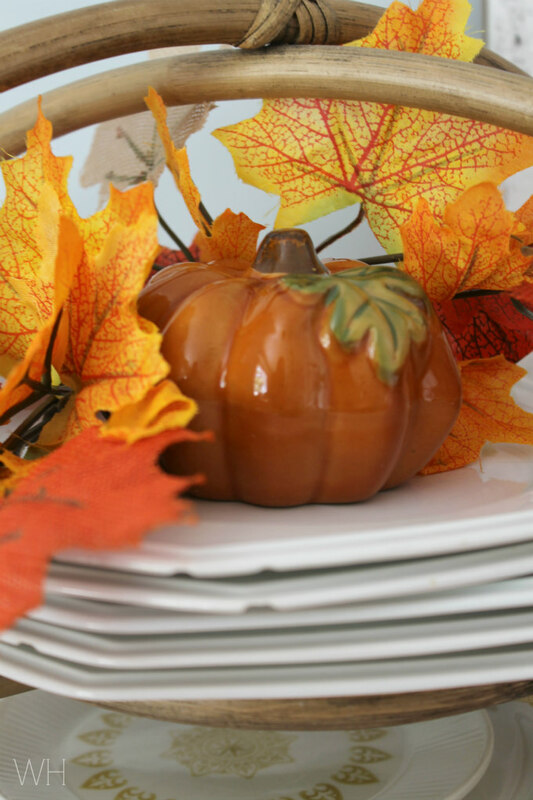 The leaves and ceramic pumpkins were purchased from the dollar store. 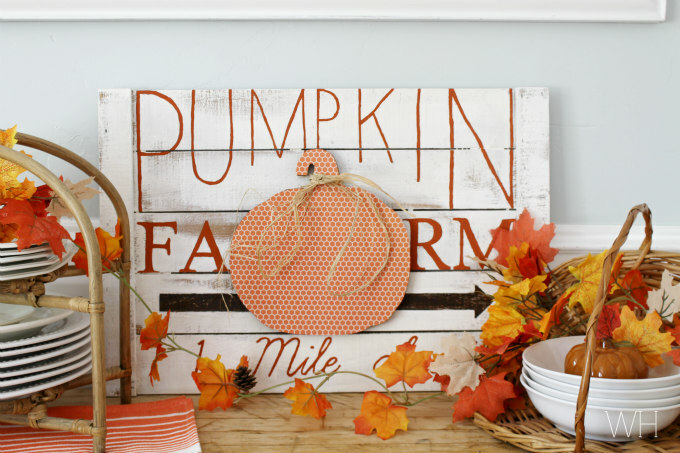 This sign has been such a great addition to my Fall decorating this year. I love it! I really like the lettering styles that you used. 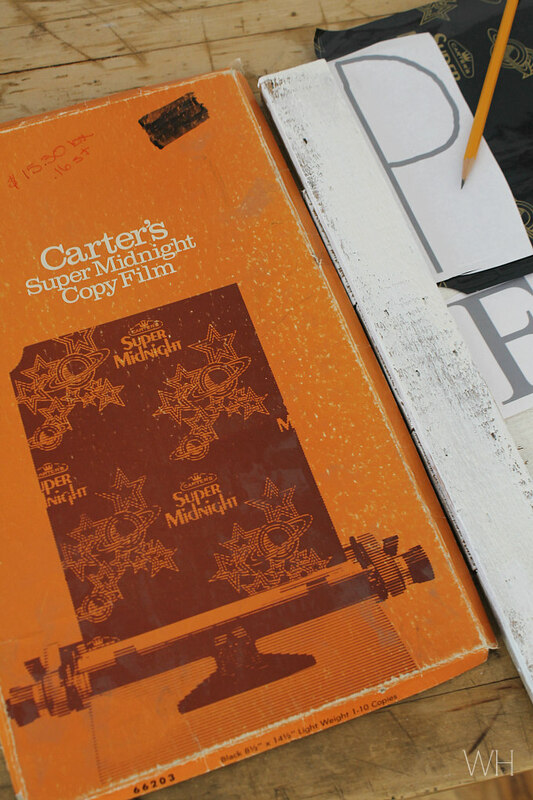 Looks great in the vignette you shared. 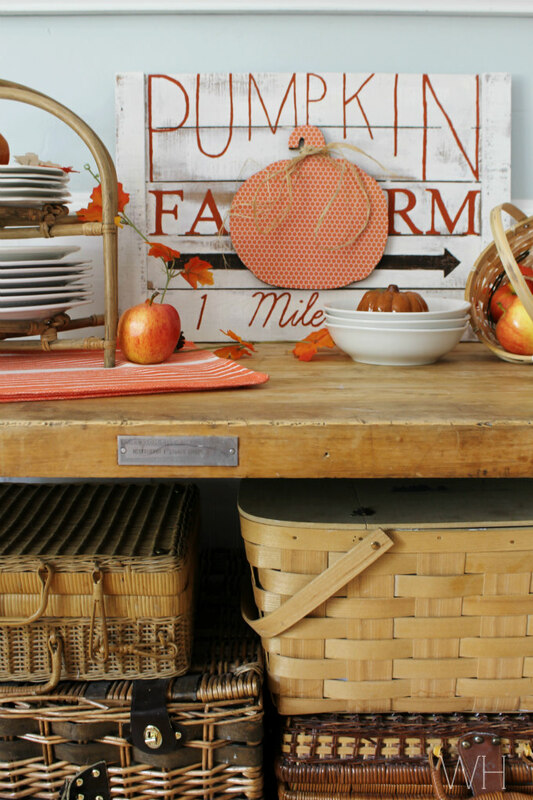 I have had fun decorating the mantel, the room without a roof, and the hayloft with autumn loveliness....your sign would have fit right in! Thanks for sharing and hope you will stop by the country. Oh my goodness! This is so adorable! I absolutely love it. This is an adorable idea. 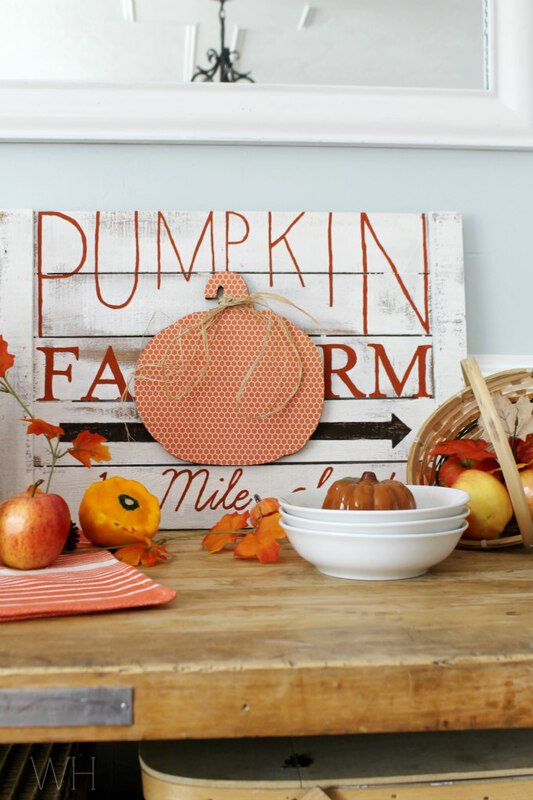 We have a pumpkin farm on our property each fall, but only have a boring old sign that was made with paper and markers. 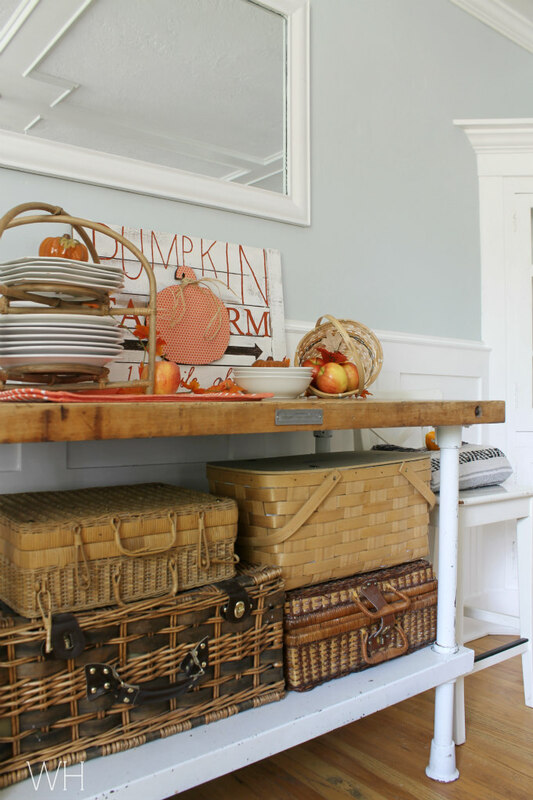 I will have to go pick up some materials before next fall and complete this project. I'm sure it would draw peoples attention better than my other signs my kids make.